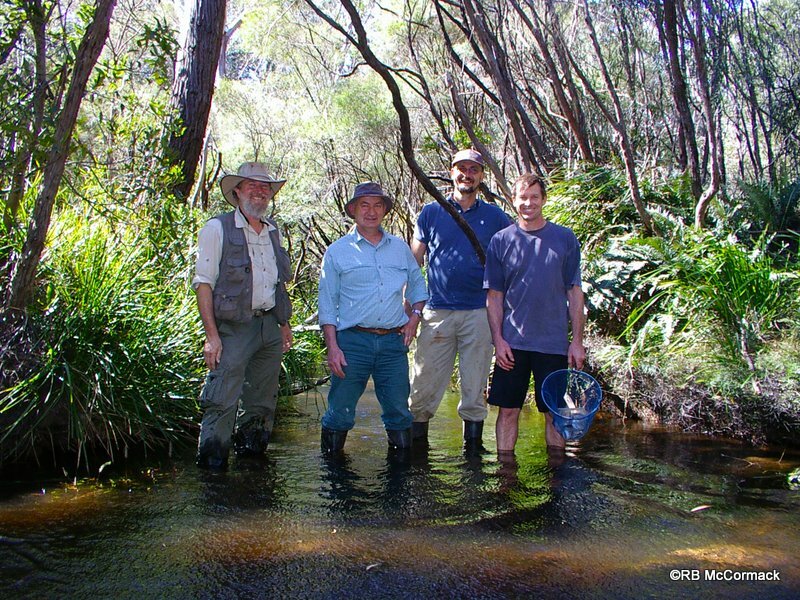 In October 2012 we conducted a survey of the upper Clyde River with the priority being to determine the freshwater crayfish species present within the upper catchment. 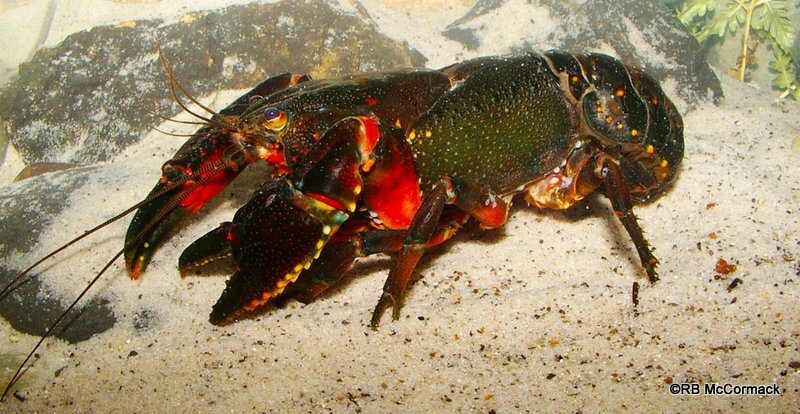 It is currently unknown which freshwater crayfish species occur in this pristine and mostly inaccessible area. 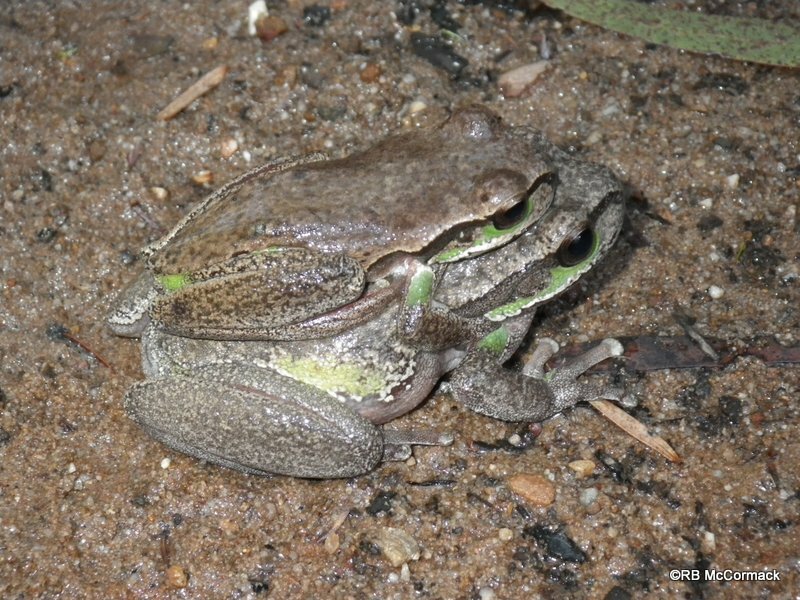 Our survey aimed at filling this knowledge gap and also record the other species present within the upland creeks and swamps. 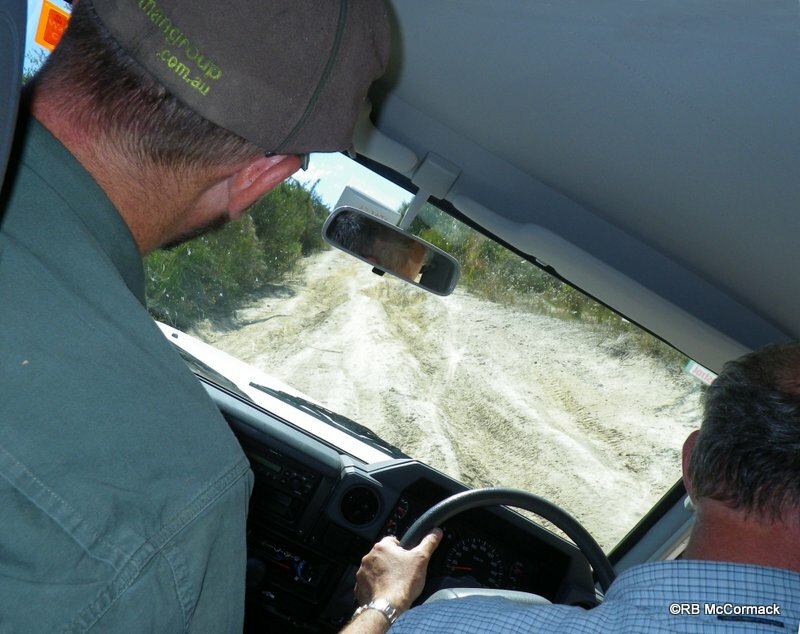 The area of interest is entirely within the Morton National Park and with the aid of Libby Shields and Rob Perry who are the local National Parks and Wildlife Service rangers for the area we gained access to the whole park which has a series of maintenance roads through it. It was very fortuitous that we could gain access as it would have taken us ages to cover the area on foot. Libby told us some of the roads were currently impassable but we had Hugh Jones at the wheel of his Toyota troop carrier and though some of the roads proved extreme they were all passable for Hugh and his V8 diesel troop carrier. Hugh at the wheel of his car with Paul beside him, I was hanging on in the back taking this photo and waiting for it to roll. The roads were extreme but Hugh got us out and back safely. Unfortunately, they were far too extreme for both Pauls and my Great Walls so we left them discarded along the side of the track and loaded into Hugh’s beast for an exciting 4 wheel drive adventure. We came within millimetres of rolling the troopy in a pothole at one point but Hugh ground us up and out of what we described as a bomb crater. Much of the area we were surveying was part of the old bombing range and there were signs up everywhere warning of unexploded ordinance. Paul and my Great Walls were no match for the rough roads and we were lucky to have Hugh’s Toyota for the extreme roads. The upland streams in the area were relatively cold being 9-12⁰C and very low pH (4-5) without much biodiversity. The upper streams were without fish though they did occur at lower altitudes. We were unable to find any shrimp, crabs, snails or mussels but both macro invertebrates and tadpoles were common and freshwater crayfish were abundant in many of the larger streams. 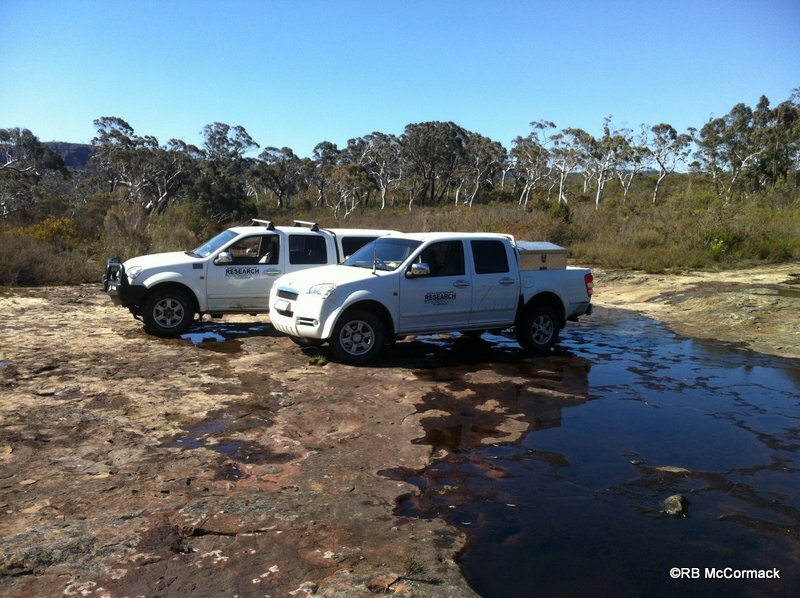 The area was pristine and a tribute to the NSW National Parks for the management and protection of the area. 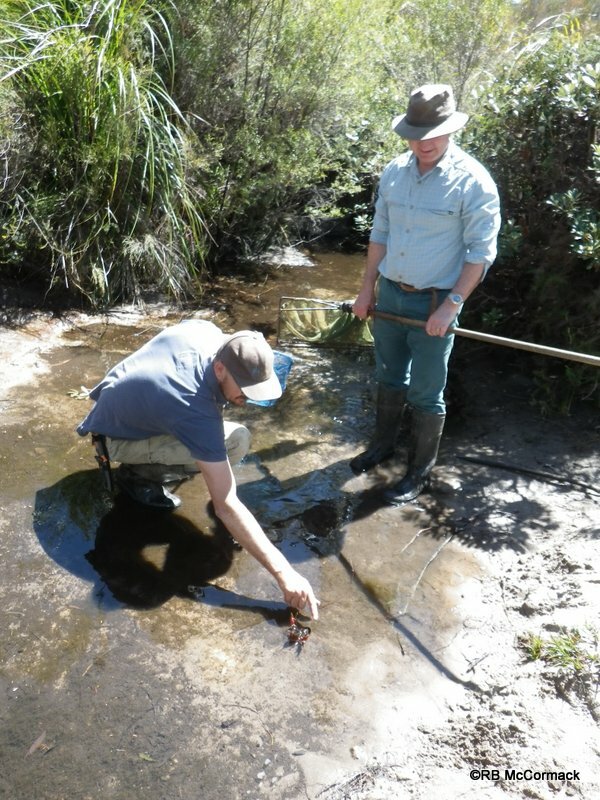 This survey is part of a series of the area and a report on our findings will be submitted to the Southern Rivers Catchment Management Authority and we are thankful to them for assisting with funding for our surveys.